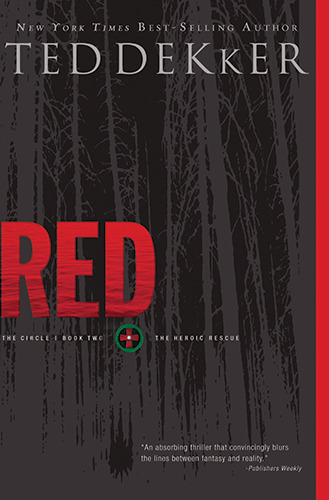 The mind-bending pace of Black accelerates in Red, Book Two of Ted Dekker’s groundbreaking Circle trilogy. Less than a month ago, Thomas Hunter was a failed writer selling coffee at the Java Hut in Denver. Now he finds himself in a desperate quest to rescue two worlds from collapse. In one world, he’s a battle-scarred general commanding an army of primitive warriors. In the other, he’s racing to outwit sadistic terrorists intent on creating global chaos through an unstoppable virus.